Alternative title : "The Palace"
Shin Chae-kyeong and Lee Shin, because they dont know each other well, go through numerous incidents in which they end up fighting. Chae-kyeong witnesses the scene where Lee Shin proposes to another woman to avoid their arranged marriage and this is how the two become fully aware of each other’s feelings. The story evolves from the fact that Chae – kyoung’s grandfather was very close to the former monarch, whose wish was for her and Shin to get married. This gives some impetus to the otherwise unrealistic union of the two. As the drama progresses, many other fine men, including Lee Yool, a cousin of the royal family, make their appearance. The story of the two characters, who keep quarreling about structural problems such as the rules of the royal household in the midst of the difficulties of being a prince and of the arranged marriage, will unfold in an interesting way. The show s fun lies in the episodes concerning the status gap that exists between a prince and an ordinary citizen. As more problems of status arise, the uniqueness of being a prince will be more greatly exposed, and doubling the fun of Princess Hours. When the kings illness gets worse, Crown Prince Shin receives an order to get married his arranged marriage partner. Shin realizes that there have never been personal choices available in the life of a Crown Prince, though he’s only nineteen. Prince Shin proposes to his girlfriend Min Hyo-rin. Taking it as a joke, Hyo-rin shows her cute smile and takes off to practice for an international ballet competition. Shin doesnt hold onto her but just smiles faintly as she turns away and leaves…. Chae-kyeong has a dad who stays at home as a full time house-husband after his business failed and a mom who works as an insurance consultant. Chae-kyeong's family, which was able to create happiness in the midst of difficult times, suddenly becomes in-laws with the royal household. To Chae-kyeongs parents everything seems much more like a dream, as they see that the arranged marriage grandfather always boasted of become realized. Chae-kyeong cries out loud, not willing to accept the fact that she has to get married at the age of nineteen, but Shin accepts the marriage, not caring about who becomes the queen. An art major at an art high school who, one day, suddenly becomes the queen. She is an active girl who goes around wearing her training pants inside her school uniform skirt and enjoys sketching scenes with a comic-like imagination. Although she is easily befriended by anyone regardless of age and doesn’t make enemies, once she starts disliking something she continues to do so. After she becomes queen she is disappointed that Kwon Tae-byeong is in fact the Crown Prince Shin; a young heartthrob who fights with her endlessly over everyday issues. However, her affectionate feelings toward Shin grow, once she starts living inside the palace and learns of the boredom and loneliness he experiences. At the same time, she is confused by the feelings she has toward Yool, whom she meets after she has already decided to get married to Shin. Chae-kyeong quickly and profoundly observes the hidden desires and secrets of power found inside of the elegant palace better than anyone else. She becomes a central character that changes not only the palace itself but also all the other characters in the palace. The one and only Crown Prince of the Republic of Korea; the young man who will inherit the throne. He possesses the intelligence and appearance of the son of a bright king and a beautiful queen. Although he is irritated by the strict rules and dull life inside the palace and feels bored with his life, he has an intense and ongoing struggle with his own identity. Repelled by the fact that he has to spend his entire life as king inside the palace, he dreams of escape. When he starts learning what it means to be alive by looking at Queen Chae-kyeong, whom he marries without feelings of love, he gradually gains strength in life and starts to feel love towards her. Meanwhile, he plays love games with Hyo-rin, his ex-lover, and confronts Yool, his rival, at every turn. Shin is a “nowhere man” who believes that there is no place for him; neither inside the palace nor anywhere else in the world. Sir Eui-sung; second-in-line in succession to the throne. Having spent most of his life abroad, he feels less aversion towards the palace than Shin, and due to his innate optimistic character, intelligence, and down-to-earth attitude, everyone loves him. While Shin is straightforward in his behavior, Yool thoughtfully and philosophically considers his actions. He feels deep affection and sympathy toward his mother, who had a difficult time in raising him alone, and therefore understands his mother’s avarice toward power; he himself slowly begins to express interest in the throne. Yool develops an interest in Chae-kyeong when he first meets her as he transfers to a private school. He grows to love her so much that he considers the crown for the first time when he learns that the marriage promise of the king concerns the ‘grandson who will be crowned’ among the two grandsons of the king. Although he keeps his distance from Hyo-rin, who approaches him knowing that he’s ranked second in succession to the throne, he gets to understand her pure desire and experiences another change in feelings in his relationship with her. Like a plant absorbing water, he gets involved in the situation of regal authority and in Hyo-rin, naturally falling in love with her and becoming the rival for the one-and-only successor to the crown. She is a perfectionist who has everything, including good looks, money, and brains. Love-calls from the royal household asking her to be the daughter-in-law are endlessly pouring in. Her interest in becoming the empress of the Republic of Korea and making Shin her own, grows. However, too suddenly she awakens from her dream of becoming the queen when Shin, her lover, has an arranged marriage with Chae-kyeong. She is hostile toward Chae-kyeong; the young woman who is her worst enemy, having stolen her dreams, and constantly attempts to recover her self-esteem and win over Shin’s love. Also, when she approaches Yool, ranked second in succession, and sees the potential of realizing her ambitions, she is perplexed by the unexpected change in emotions she experiences. A character that provides an important change in the triangular and quadrilateral relationship composed of Chae-kyeong, Shin and Yool. She’s an intelligent woman who knows to sacrifice something small for a realistic gain. Her efforts at obtaining her dreams and goals are purer and more passionate than anyone else’s. In the 14th year of Inhwa dynasty when the Hyun emperor’s illness gets worse than ever, the empress commands the Crown Prince, still in high school, to marry the bride who has been arranged for him beforehand. However Prince Shin, proposes to his secret lover, Hyo-rin Min, an ambitious ballet student who takes his proposal as a joke and turns him down saying that her success as a ballerina is of her primary concern. Meanwhile, the family of Chae-kyeong, an ordinary high school student, is in deep financial trouble for standing security for the wrong person, and is overwhelmed with joy when they receive the marriage proposal from the Royal Family. The last words of their dying grandfather wasn’t a bluff after all! Prince Shin agrees to marry the all-too-ordinary prearranged bride provided the Chang-Duk Palace be granted independence and the IkWiSa be reduced. However, Chae-kyeong, who had happened to witness Prince Shin’s proposal to Hyo-rin, is outraged by the arranged marriage, and claims it is nullified. Right at that moment, the creditors march in to Chae-kyeong’s house and put red cards on all of the furniture. Chae-kyeong, therefore, has no choice but to marry the prince due to her family’s financial crisis. But things aren’t easy, right from the first encounter with the Royal Family. Moreover, seeing that the prince has no affection for her whatsoever, showing careless cynical behavior throughout the wedding process, Chae-kyeong comes to regret accepting the proposal. But it’s too late; the Royal Marriage is the top news in the press, and Chae-kyeong’s house is crowded with reporters. Yool, the son of Prince Hyo-yul who died in an unfortunate car crash 14 years ago, hurries back to Korea under the urgent order of his mother – princess Hye-jung, eager to the win back her husband’s throne. In the airport, he runs into Hyo-rin, who has just returned from her contest but they don’t recognize each other. At last, Chae-kyeong has made up her mind to join the Royal Family. Lessons for becoming a proper Crown Princess start as she enters the palace. She has to endure hard training, which includes learning proper ways to talk, memorizing the whole wedding process, etc., with the Prince showing no interest nor offering any help to her. Life in the palace is not an easy task from day one. On the first day after the wedding, Shin and the rest of the adults in the Royal Family go out to fight a little war to ensure they receive what was promised to them for granting the marriage. While Shin is being very serious, Chae-kyeong, on the other hand is busy enjoying the privileges of being the Crown Princess and is slowly adapting to life as a Royal. Chae-kyeong, after making her morning calls to the elders of the royal family, is surprised to see Yool inside the palace. Yool, a transfer student in her class, turns out to be prince Ui-seong. At first Chae-kyeong has a hard time adjusting to life in the palace with its strict education and rules, but thanks to the warmth of the emperor and other elders at the palace she starts to find the royal culture attractive. Meanwhile, Hwa-yeong prepares to open a yoga center while plotting with Choi against the other royal family members, while Yool gets closer to Chae-kyeong and her friends. Thanks to Yool’s help, Chae-kyeong looks good in the eyes of the Queen Mother. In addition, after attending a number of events with Shin, she becomes well known to the public and loved by them for her plain looks and free spirit. Yool tells her she should carry herself with dignity but she ignores his advice. At the opening of the yoga center Hwa-yeong meets Hyo-rin and finds out that she is the Crown Prince’s ex-girlfriend, and when the Empress later finds out the Hwa-yeong has secretly come to Korea and opened a yoga center, she is greatly displeased. Meanwhile, at the palace a party is held to announce the officially married Crowned Prince and his wife to the ambassadors of the constitutional monarchy. Kam-ae-tta-la starts to feel uneasy as Chae-kyeong adjusts to the palace life. As Hyo-rin thinks back on the good days with Shin she remembers what Hwa-young told her and is determined to get Shin back. Meanwhile, Chae-kyeong misses her family because she hasn’t seen them since she moved into the palace. But soon she and the prince are finally allowed to go visit her family. Chae-kyeong is very happy to be back home but Shin has a hard time adjusting, due to the fact that he has lived his whole life in the palace. Chae-kyeong’s family also feels uncomfortable living in the same house with the him. Chae-kyeong and Shin, who quarrel frequently, end up spending a night together in Chae-kyeong’s small room. Chae-kyeong and Shin return to the palace and after spending time with Chae-kyeong’s happy and close-knit family. Shin feels sad to see his family who has always been under the control of his strict father, the King. Seeing this, Chae-kyeong comforts him and Shin prepares a car just for her. Persuaded by Hyo-rin, Chae-kyeong and Yool join an equestrian club. Not knowing why Hyo-rin invited Chae-kyeong into the club, Shin’s friends are dissatisfied with the whole idea. Meanwhile, Shin goes to Thailand in place of the Emperor, who couldn’t go because of health reasons. While Shin is away in Thailand Chae-kyeong gets lonely and gets in trouble for breaking the car. After overhearing some girls at school talk bad about her she gets hurt and asks Yool to just take her away from the palace some place far away from it all. In, Kyeong, Hwan, and Hyo-rin all go to Thailand. Hyo-rin meets up with Shin and asks him to take her to the airport and the two end up spending a day together. After taking Hyo-rin to the airport Shin makes it to the press conference just in time and gives an outstanding speech. Meanwhile, back at the palace Chae-kyeong gets confined to the palace for leaving the palace walls without permission. Yool after seeing Chae-kyeong get in trouble asks Hwa-young to make him the crowned prince. With the help of Yool, Chae-kyeong successfully finishes the welcoming ceremony for Prince William and Hwa-young starts finding back her and her son’s rights as a royal family by asking the emperor to replace back to them Emperor Hyo-yeol’s powers. Chae-kyeong insists on riding her horse alone even though the court ladies try everything in their power to dissuade her. While riding her horse she accidentally runs into a stranger in the palace who turns out to be princess Hye-myeong, Shin’s older sister. Shin is happy to see his sister, whom he hasn’t seen for a long time and uncharacteristically shows his softer side to her, telling her his deepest thoughts. The paparazzi photos of Hyo-rin and Shin get reported in the Thai newspapers. The Empress sees the newspaper and gets angry at Shin. Chae-kyeong also finds out about it and gets angry at herself for missing Shin while he was away in Thailand, not knowing that he was with Hyo-rin. Chae-kyeong and Hyo-rin run into each other at school and Chae-kyeong asks her about what really happened in Thailand between the two, but instead of showing a sorry attitude Hyo-rin shows a very dignified attitude causing Chae-kyeong to faint in front of her friends. Shin tells Chae-kyeong that he is going to withdraw from being Crowned Prince, and she starts to feel frustrated because she does not know his true feelings. Chae-kyeong tries her best to get closer to him but the more she tries the more frustrated and angry she gets through finding traces of Hyo-rin. Eventually she gets into a fight with Shin and breaks into tears. In the palace the plans for the restoration of Prince Yool’s power are in their final stages and Hwa-young and Yool get ready to move back into the palace. The entrance of a new power figure starts to create a division between people of the court over whom they are going to be loyal to, and the Empress and Hwa-young are busy keeping each other in check. The Empress Dowager, who has the final power in deciding whether or not the powers get restored to Hwa-young and Yool, doesn’t know whether giving them the power is the right thing to do or not. Yool and Shin bump into each other in the palace and start a nerve war. Meanwhile, the Empress Dowager takes Chae-kyeong to Cheju Island to attend a formal royal event. The Empress Dowager, Shin and Chae-kyeong go on a little road trip around Cheju. Shin and Chae-kyeong try everything they can to cheer up the Empress Dowager. The kids at school start looking at Yool through different eyes when they see his new style. Meanwhile, the Empress is busy keeping her eyes on Hwa-young, who has moved into the palace. Hwa-young, scolds the Crown Princess for being lazy and for forgetting about her role and responsibilities as the Crown Princess. After the pictures of Hyo-rin and Shin have been revealed to the public, bad rumors of Shin and Chae-kyeong start to go around. Worried, the adults of the family gather to discuss a plan to stop them before they get any bigger. They decide to have the couple get into the bridal bed. Having no idea of the plan, Shin drinks some medicine that he was told is good for his body and Chae-kyeong gets all dressed up. Chae-kyeong sits in a room with her court ladies wondering what in the world is going on when she hears Shin coming into the room. After hearing about the couple getting into bed together Yool runs over to see Chae-kyeong. She tells him that nothing happened between her and Shin, and he hugs her, relieved from the unthinkable thought of the two spending the night together. Shin sees this and gets very angry at Yool. Chae-kyeong’s friends get angry at Hyo-rin for starting the rumors and start to criticize her. Chae-kyeong learns a secret about Hyo-rin and starts to feel uncomfortable. Someone leaves a picture inside the Crown Princess’s room. Chae-kyeong is shocked when she sees it and disappears. Shin and Yool soon hear that she has disappeared and instantly go out looking for her. After finding Chae-kyeong in the Myung-sun Dang, Shin takes her to a place where they can be alone, where they proceed to spill their hearts out and tell their true feelings towards each other. The violence between Yool and Shin becomes known throughout the palace. Hwa-young tells the Empress that she is not going to stand by and watch stuff like this happen ever again, raising the conflict between her and the Empress. The Emperor calls Shin (his son) and harshly scolds him, causing Shin to rebel against him. Despite all the malicious gossip about the Crown Prince and Princess they attend a public conference. When the reporters ask for a loving pose Shin displays his showmanship. Meanwhile, the Empress Dowager senses the tense atmosphere of the palace and suggests that the whole royal family should have a meal together. Shin and Chae-kyeong leave on a short honeymoon together. Hyo-rin leaves on a trip to where she can find traces of Shin and her love. After getting the cold shoulder from Shin, Hyo-rin remembers what Hwa-young once told her and once again makes a firm determination not to give up. Because of Hyo-rin, Shin and Chae-kyeong feel awkward again and Chae-kyeong starts to feel confused when Yool tells her to leave Shin so he can be with Hyo-rin. The Empress finds out about Hwa-young’s plans and starts to take action… Just then the Crown Prince’s scandal gets known to the public and the palace goes into distress about the matter. The Emperor calls Shin and begins seriously considering whether or not Shin is fit for being Crown Prince. Chae-kyeong gets angry at Shin for leaving the palace for a while without telling her where he was going. She asks him why he always keeps everything to himself and worries alone. Hearing this he suddenly hugs her and asks her to stay by his side even after he resigns from being Crown Prince. Meanwhile, Hyo-rin, who has come to the palace at the Empress’s request, receives an offer from the Empress to support her. Yool asks the Emperor permission for the Crown Prince and Princess to accompany him on his vacation for his birthday party. The criticisms of whether the Crown Prince is good enough or not keep rising; even the Emperor starts wondering if Yool is more fit for the spot. Meanwhile, Hyo-rin discusses with Shin her education plans. Yool tells Chae-kyeong, who is feeling miserable at hearing that Hyo-rin and Shin had once promised to go abroad and study together, how he feels about her. Chae-kyeong gets confused about all the trouble she got into with Shin at Yool’s birthday party. Watching her, Shin feels sorry and apologizes to her but she doesn’t take his apology and instead their anger toward each other deepens. Chae-kyeong hears a rumor about her parents saying that they are profiting with the help of the palace. Hearing this she starts to feel the palace life more and more stuffy and choking. Shin senses her feelings and lets her get away from everything by having her go home for a night. The Empress finds out about it and scolds her for doing whatever she wants to do even though she is the princess. Chae-kyeong gets her feeling hurt and runs out of the palace. Because of an unexpected incident Chae-kyeong ends up in the middle of a rumor. She meets her greatest crisis after becoming Crown Princess and wanting to figure out a way to stop the rumors on her own she refuses help from Shin and Yool. Shin becomes angry at seeing Chae-kyeong worrying about how to fix her mistakes and orders the Myung Seong Dang to be repaired, but this just causes the Emperor, Hwa-young and Yool to get angrier and more frustrated. After seeing Shin isolate himself from the others of the palace, the Empress calls him to talk as mother and son. She tells him about what she wishes for him. After seeing Hyo-rin working towards of becoming her dream to become a ballerina, he thinks again of his dreams and what he really wants. He finds that his future includes Chae-kyeong and the Empress’s wish and goes to the interview with a firm attitude. Shin barely manages to cover up for Chae-kyeong’s surprise announcement. The adults of the royal family get very angry at Chae-kyeong’s actions, which were not in line with the ordinary palace rules. Seeing this, Shin feels sad and angry at the same time. Because of the incident, the scandal of the crown princess blows up again and Hwa-young gets nervous so she decides to use Chae-kyeong as the scapegoat to protect her son. Chae-kyeong kneels in front of the Emperor to ask for his forgiveness and cries, and Shin just ignores her. Because of the incident Shin’s ability to be Emperor gets questioned and as this deepens Yool gains trust from the Emperor. In the middle of all this, however, Yool can’t stand looking at Chae-kyeong having such a hard time and reveals his feelings in front of all the royal adults. Yool tries his best to keep faithful to his heart even if it means breaking the rules. Shin insists that rules and regulations are the strength that holds the palace together. Even though their ways of following them and carrying them out are different, the person they want to protect are the same. Chae-kyeong also feels bad watching the people she loves and cares for getting hurt, while the reasons and reality also grow farther and farther apart. Shin gets driven into a corner as an arson suspect. He insists that he is innocent but all the evidence leads back to him. Only Chae-kyeong believes him to be innocent and feels bad looking at his drooping shoulders. Shin, knowing that someone actually cares and loves him, doesn’t feel lonely anymore and calmly handles the situation. Chae-kyeong wants to show Shin the world that she once lived in so the two go out together into the everyday world, not as the royal couple but as a normal couple and enjoy a day out away from the palace. As the investigation of the arson incident furthers and the facts about it get revealed Shin gets more and more accused of being the cause of it. In the midst of all this Chae-kyeong and Shin’s feelings towards each other grow even stronger and they fight together to get through this storm. The two already resemble each other regardless of Chae-kyeong having told him that she has studied hard to be fit for him. The Emperor once said that “Apart from the truth of the incident, the person worthy of the imperial throne is the one who receives the love and honor of the people.” Hwa-young smiles a smile of satisfaction and throws in her last card. The Empress sees that Chae-kyeong has slowly started to show the qualities of a crown princess and for the first time they actually sit down and talk with each other. The Empress encourages her and gives her strength. With the warming concernsof her mother-in-law and a token of love from her husband, Chae-kyeong feels a responsibility to protect her new family and once again rises with a firm determination to protect them. Yoon Eun-hye, is she plagiarizing this time? Kim Jeong-hoon cast for SBS's "Dummy Mommy"
Until the early 1990s, comic book stores like these used to be a common sight in every neighborhood. But times have changed with computers and the internet. In the past 10 years, the country's comic book rental business shrank to less than 15 percent. Yoon Eun-hye "Poor on the screens, I'll do better on home screens"
Yoon Eun-hye "6 years after debut, no income... now not so"
[Interview] Yoon Eun-hye "I cried because of my acting issue"
Yunho Yunho racks up ticket sales for musical "Goong"
Yoon Eun-hye as female star in TV remake of "Comrades, Almost a Love Story"
"Princess Hours", the 2006 hit drama series, has returned after four years to continue its legend as a musical. [ChanMi's star news] Kim Jeong-hoon seems to have gotten darker? Actress Jeon to Wed With Alumnus in Oct.
Police are expanding their investigation into the smuggling and use of drugs involving movie stars and models. [ChanMi's star news] Ju Ji-hoon arrested for...! [ChanMi's drama news] "Boys over Flowers", high fantasy romance drama! [ChanMi's movie news] Ju Ji-hoon in "Antique"
[ChanMi's star news] Kim Jeong-hoon from "Princess Hours" what has he been up to? [ChanMi's drama news] "Boys over Flowers", Korean version of "Meteor Garden"
Actress Yoon Eun-hye will hold her first fan meeting in Japan next month. Actor/singer Kim Jeong-hoon will resume his singing career by releasing his fourth single album entitled "Tears" in Japan on Feb. 20. Apart from being famous worldwide, Shakespeare, Tolstoy, Al Gore and Zinedine Zidane have one other thing in common -- they were born in the Year of the Rat, according to the traditional zodiac system still widely used in Korea. Who will be the next generation of the Korean-Waves stars? "I Try My Best to Be 'Eun-chan'"
The poster of the upcoming MBC miniseries 'Coffee Prince Shop No. 1' was revealed on the 25th. Jang Nara and Kim Jeon-hoon are leading the way to promote Korean dramas which have been losing popularity in China. This is the third in an eight-part series of articles that looks into the country's cultural and entertainment sectors and explores ways to help sharpen their competitive edge. - Ed. A Korean drama music concert will be held at Waikiki Shell, an outdoor theater located in Kapiolani Park in Hawaii on March 10. Domestic animation, game character and media products industry representatives will apply for copyright protection in China. ImaginAsian Entertainment, founded by four Korean-Americans in 2003, is betting Asian pop culture will attract American audiences of all ethnic backgrounds and find its way into mainstream culture. Singer-turned-actress Yoon Eun-hye has been offered to play a leading role in the sports film "Dunk" to be produced in Taiwan. Singer/actor Kim Jeong-hoon has given a concert in Tokyo to mark the release of his first album targeting Japanese viewers. Singing, dancing and now acting: Is there anything that Korean pop idol Se7en cannot do? BUSAN - A key focus for this year's Pusan International Film Festival is to encourage more pan-Asian film productions by bolstering the increased commercial influence of Asian movies. The MBC TV mini-series "Princess Hours" and the KBS TV2 mini-series "My Rosy Life" have gone on the air in Indonesia. Yoon Eun-hye, the lead actress of the TV drama "Princess Hours", will perform as a fashion model. American Variety Magazine Gives Acclaim to TV Drama "Princess Hours"
A plan to shoot a TV drama starring the popular music group T.V.X.Q has generated public attention. CEO and producer of SM Entertainment Lee Soo-man reported that singer Boa will debut as an actress during a recent interview he gave at SM's main office in Cheongdam-dong, Seoul. View all 69 pictures for "Princess Hours"
his drama is good to watch...i like this drama,even though its a mixture of ancient times and the current world...example:the palace(prince,princess,emperor,emperess and more)thats like ancient times,and the clothes and more-there like the current world...i think people shud try it out..and see if you like it..
rincess Hours introduced me to competent Korean actors and actresses even at their young age. I am referring to all the casts here. What is intriguing and interesting is the concept of the story which made me to watch again and again. It never bored me mainly because I love to watch the casts in their challenging roles not to mention my love in Korean clothing fashions. They are all impressive. personally love Goong because the series is packed with all the right elements for a god Korean drama. Good characters and plot. Wonderful cinematography, exciting conflicts, and the right dose of humor and drama. I personally love Joo Ji-Hoon and his acting. I'm hoping there'll be a sequel with the same cast. reaaly love this tv series (PRINCESS HOURS) i have seen it 5x already and Im not getting tired of watching it over andover again. I want its cinematography it was the best. Every scenes was very detailed and realistic even though some venues in the scenes specially at the palace is just only repeating but still looks realistic and funny. All of the cast was just match for one another and that makes Princess Hours so beautiful. Am just curious why is it Princess Hours did not win any awards and also the love team of Yoon Eun Hye and Joo Ji Hoon did not receive an award when in fact this Tv series are one of the biggest hit in Korea..? love so much princess hours, the character which invovle Gian, Janelle, and Troy they are so handsome and beautiful. his Koreanovela opened the door for me and my mother to be deeply addicted to this caffeinated Korean Dramas. I learned a lot of Korean terms because we watched Goong for more than 4 times and we still do if we feel like having fun and excitement. This drama drew in us mixed emotions, having to witness the love, friendship and the life of Feigungmama and Lulumama. With this my mom and me developed a stronger relationship, at the end of the day, we would bid Saranghe to each other. The characters and the actors matched well. All of the four main cast are really great and the plot of the story is even greater! even if it have to take a lot of reading to understand the story, it really made us ver happy. Hope the sequel of the drama, Princess Hours 2 would air soon. We will be looking forward for it. his is a FANTASTIC drama even though I've only watched a few episodes of it. My favorite part at this moment is when the Prince & Princess visit the Princess's house. The drama is soo funny, there's never a dull moment! Can't wait to watch more! think every teens need to watch this drama,especialy those who liked about royalties very much.im very epriciate it & now i know that being a princess is such a heavy job but sometimes its enjoying.i also bought the DVD.i am sooo in love with the actors. Its really interesting & fun to watch 'specialy the ones who in love right now.i've watch it for like many many many times already.thanks to the director of this drama HWANG IN ROI ssi,kamsa hamnida.i heard that princess hours is having the second season.is that true?? ?i really wanna know. if its true,im looking forward to it.i love princess hours sooooo much!!! !last word;PRINCESS HOURS RULESSSSSS!!!!!!!!!!!! really dont know why i love dis korean movie princess hours i love da story and i love cast of it even they are new in the acting industry they do a good job.for me der da best.. hope to see them..
this drama was awesome! im quite influenced by korean culture! The settings costumes and storyline are very new and interesting.Yoon EunHye is very adorable and bubbly in the show, the princes in the drama are wondeful, both are good-looking and have acted well in their respective roles, Especially Joo Ji Hoon. i love love love this drama ever!!! love love love this drama!!! 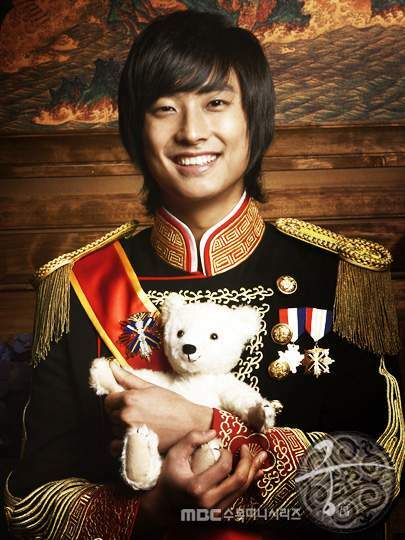 Watch Princess Hours 1 and 2 on http://www.abroadcasting.tv! You could watch "Princess Hour" on Open the link! Also view other Korean, Japanese, Taiwanese, HK, and Mainland drama and movies absolutely free! I can't get over how beautiful the storyline of this drama - the casting are all superb! I love Joo Ji Hoon & EYH - their chemistry was great! I hope they teamed up again in another drama! The other cast were also good, grandma was cute & funny, Shin's sister was so nice & sweet! I just don't understand why he gave up his throne to be the King!??? Too bad the sequel did not materialize, i read in an article that one of the reasons was EYH's contract with the entertainment co. she didn't renew & Kim i guess had some other conflicts. It wouldn't be the same though if EYH won't be among the main actress! thnx to the director for bringing us a wonderul entertainment we could fall in love with! i really want to watch this drama again! wow, i checked it . Princess Hours is the famous series!!! sbenernya princess hours 2 bakalan ada gak seh????????? duuuh!! !msalahnya gw ska bnget ama ph!!! mreka punya website sndiri gak??? klo seandainnya ada ph 2 bakal dijual di indonesia kapan??? gw jga pnasaran akhir hubungan antara tmennya xin yang pke kacamata sama temennya chae kyung yang pake kacamata jga bgimana??? bakaln ada PH 2, syutingnya okt, keluar d koreanya sekitar bln januari gt... ga tau ke indonesianya kapan!!! I love it! Joo Ji Hoon and Yoon Eun Hye look sweet and romantic together! Hope they do another Korean series together! Sarang hamnida Ji Hoon and Eun Hye!!! Goong is the best movie i've ever seen!! It's really cool and it's inspired me. My friends never stopped talking about it at school. We love Goong So much!!! Goong baxia!!!!!! .!!! please make one. Trust me a lot of people will buy it and earn a lot of profit. We want and need it so bad. I want to listen the soundtrack free!!! erm..u can listen it free at www.jkdramas.com. there's a list of the songs for whole drama. Can u show me other websites which provided all of OST on the world (full)?? I've already download it at www.chinkymovies-ost.blogspot.com or you can try download from www.indosiar.com and enter to forum diskusi menu, then look for the topic about pricess hour, there you can download the complete song.